Congratulations to Rattan Lal, School of Environment and Natural Resources, who on Oct. 7 was conferred the honorary title of Rothamsted Fellow. He attended the ceremony at Rothamsted Research, UK, and toured the center as part of his visit. He was the only recipient of the honor for 2013 and is one of only 10 or so agricultural researchers from around the world to have received the award. The center, which started in 1843, is an independent scientific research institute and is the longest-running agricultural research station in the world. 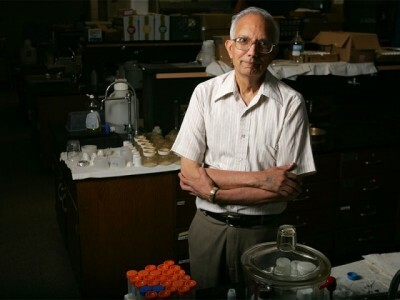 Lal is a Distinguished University Professor, directs SENR’s Carbon Management and Sequestration Center, and is an international expert on agricultural sustainability and climate change. In September he was chosen as one of the first Global Dryland Champions by the United Nations Convention to Combat Desertification.